Nonette Enneagram is the Knight of Nine. She attended military school with Second Princess Cornelia, who considers Nonette her senior. An upbeat and cheerful woman, she is one of the few people Cornelia actually fears. Her first and last names contain the Latin and Greek prefixes for 9, non- and ennea- respectively. 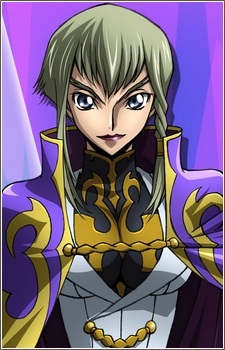 She first appears in the PSP/PS2 video game, Code Geass: Lost Colors. Out of all the Knights of the Round, she is the only one who has no speaking role in the anime, and only appears twice in non-active roles.